Ever since Kobe Bryant retired from the game of basketball, the day in which he played his last ever game, April 13th, has been rebranded as "Mamba Day." Nike has taken full advantage of such an occasion as over the years they have had special "Mamba Day" releases, usually labeling the shoes with the name "Mamba Mentality." It makes sense considering the Kobe line of basketball shoes was one of their most popular as far as signature shoes go. Another popular line is Paul George's PG series, which according to Sole Collector, could also be getting on a "Mamba Day" shoe this year. In the report, it states that Finish Line's official release calendar shows a new colorway of the Nike PG3 slated for release on April 13th. 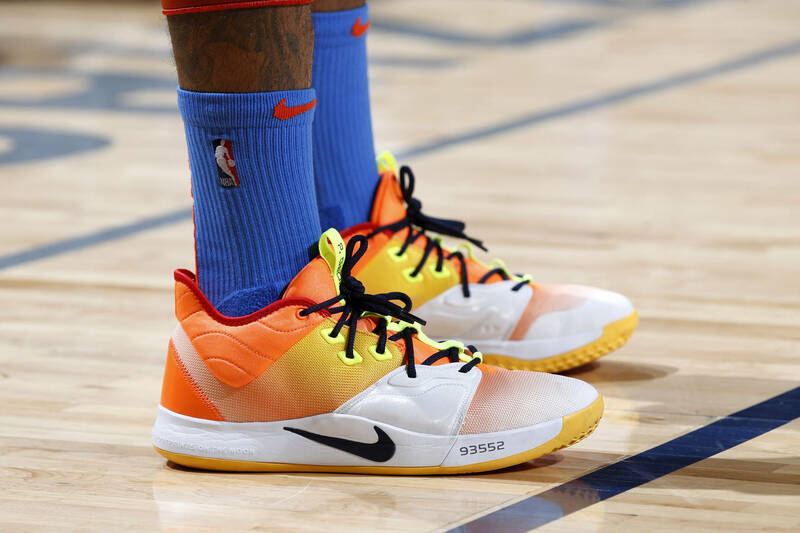 The model is being listed as having "Multi-Color/Opti Yellow," which some believe is evidence at a "Mamba Mentality" colorway. While nothing has been confirmed just yet, it wouldn't be surprising if this was, in fact, a nod to Kobe. For full details on the rumored shoe, check out the specific details courtesy of Sole Collector.